As a construction company estimator, you need software that saves time by helping you bid accurately and profitably on as many jobs as you can. 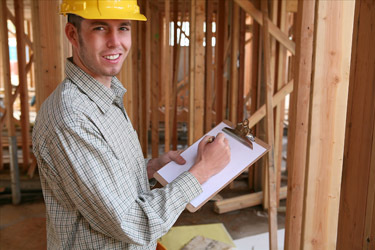 Construction Partner's Estimating module simplifies and automates your estimating process. It includes time-saving takeoff tools and setup options so you can spend less time calculating estimates and more time bidding for new work. Prefer to continue using spreadsheets or other 3rd party tools for estimating? No problem. Construction Partner can easily import your data from these sources. Flexible Setup Options - Setup labor and equipment values, pricing and markups to create profitable estimates that fit your company’s specific operations. Plus, you can takeoff estimating quantities by individual work items or assemblies. Choose Standard or Custom Formulas - Although we’ve included standard formulas for common calculations, you can easily create and test your own custom formulas as needed. Time-Saving Features - Because saving time is crucial to estimators, Construction Partner Estimating has many ease-of-use features designed to increase your efficiency. Copy a previous bid to reduce estimating and takeoff time for a similar project. Update material, equipment and labor prices with ease. And transfer estimates to Job Costing for automated setup of line-item budgets. Click here to schedule a 1-on-1 demo of Construction Partner’s estimating features.